Las Vegas St. Regis Residences by Sands Corp stops condo construction and some real estate expansion in China. The $1.8 billion in capital expenses reduction is a necessity or some of the gaming operator’s loans could be in default and end up in bankruptcy. The Las Vegas hotel and gaming operator might have been unscathed but the current economy and the global credit market has hit the commercial real estate market hard. The Palazzo and Venetian properties will slash about $100 million in expenses. This is similar to the cost saving measures MGM Mirage has been doing throughout the year. Analysts expected this past quarter the Las Vegas Sands to earn 11 cents per share but instead they 9 cents a share. Although, the company’s revenues were $1.21 billion this year compared to $694.3 million last year. The opening of the ultra luxury Palazzo hotel on the Strip attributed to the increased revenue. Shelved or delayed real estate construction include portion of the Sands Bethlehem in Bethlehem, PA, development sites in the Cotai Strip and the condominium tower of the St. Regis Residences. Call 702-505-6988 for VIP luxury condo mls with a real estate agent. 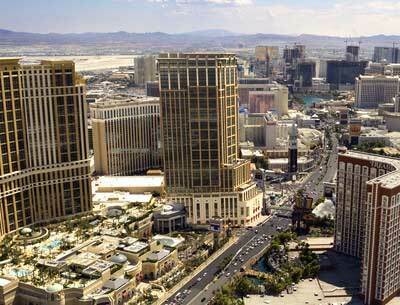 Las Vegas St. Regis Residences by Sands Corp stops construction.